New Cover for Walk-In Investigations: Streaming Sarah | Joyce Kostakis feeling inspired and brave enough to write. I have a new cover from @SelfPubBkCovers! 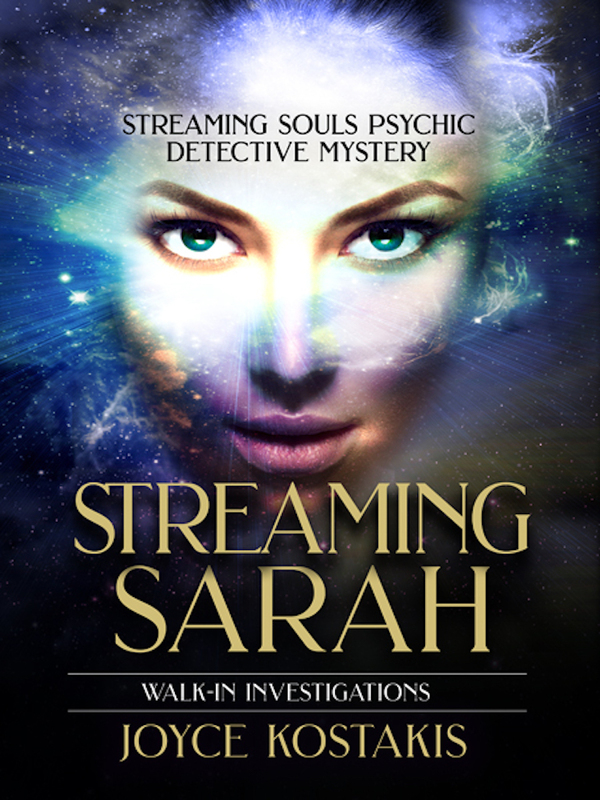 Adding Streaming Sarah to the title for Walk-In Investigations and have added a new cover picture. This is an exciting change. PlanetMuzickTV is going to make a streaming TV series and streaming movie. The original title was Walk-In Investigations. The reason for this title is because the spirit “walks” into the medium’s body to give the details of their murder. Streaming Sarah was added as a subtitle. The victim being channeled is Sarah Alexander. Walk-In Investigations: Streaming Sarah by Joyce Kostakis is the first in a planned series. It is a tense, gripping, genre-splicing Psychic Detective mystery; it’s a must for fans of intelligent crime dramas. Homicide Detective Katie Hanson prided herself on being an advocate for the dead. She had no idea dying would take that to an entirely new level. A near death experience has added a new skill to her crime-solving abilities… she can stream the dead. It is more than just channeling murder victim Sarah Alexander’s account of her horrific murder and the murder of her two children, much more. Katie learns to stream Sarah’s consciousness, her memories, her very soul. As she learns to navigate the waters of being a medium by allowing Sarah to “walk-in” to her body to give an account of her murder, she finds that she is also able to see through dimensions and receives unexpected help on her current case from her parallel counterpart who she calls P-Kate. ‘This was a wonderful book. It had twists at the end that I didn’t see coming! I just sat and read the last 60 pages or more because I couldn’t put it down. Looking forward to the sequel.’ – Melissa Good Reads Review.